Snow's a funny old thing... it looks so lovely and firm and supportive, and really, it's just not that at all for the most part. It's cold and slippery and wet and treacherous and I'm not a fan, really. 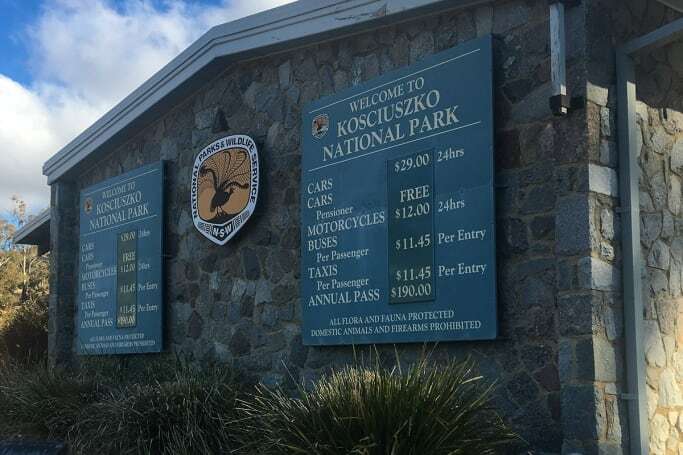 So wading through metric tonnes of the stuff up at Perisher, on the northern side of the Kosciusko National Park, really isn’t my idea of a ham and cheese sandwich. Thousands of others love it, though, by the look of the packed ski field in front of us. Brightly coloured forms glide silently across the impossibly white, perfectly groomed surfaces, some effortlessly and some… well, not so much. “So, you coming up on the lift tomorrow, Robbo?” asks former Australian rallying champion, former world number one female rally driver, the only woman to ever stand on the podium of a Junior WRC event and all-round sickeningly talented, Molly Taylor, as we bounce uncomfortably across a tarmac carpark aboard a tank-tracked personnel carrier that looked like it may have once served in the Battle of the Somme. Which, as it turns out, was actually true. Besides, the last time I strapped a snowboard to my feet, the Spice Girls were singing about girl power. One comeback day, in my mind at least, equated to the potential of six months of limping badly. Quite badly. I must admit, though, when I see the racks of rental boards and boots all lined up, I almost cave in and sign up… but I hold strong. There’s work to be done, and hot chocolates to be drunk. We’ve driven up through the national park aboard two of Subaru’s finest – and in fact its oldest and newest vehicles, as it happens. 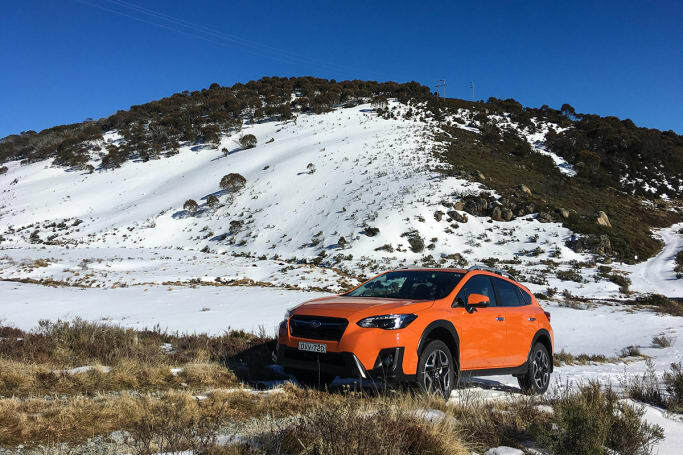 The compact XV and the larger Outback both share all-wheel-drive – sufficient in NSW snowfields to get you out of having to carry chains for icy conditions – as well as Subaru’s own X-Mode system. X-Mode is quite a clever system, essentially giving the XV and Outback a deeper level of ability than a traditional front-biased AWD system might already have. In fact, it actually modifies five parameters in the drivetrain to stop you from becoming part of the snowy scenery. This includes slowing down the accelerator’s response underfoot, which helps to dole out the engine’s torque in a more sedate way early on, before ramping it up at the end when it’s needed most. It also holds the the CVT transmission in a lower ratio and divvies up the drive more evenly between both axles. X-Mode also tweaks the car’s stability control system to add braking to the wheels that are slipping most, and it also reduces the threshold at which the brakes will cut in. 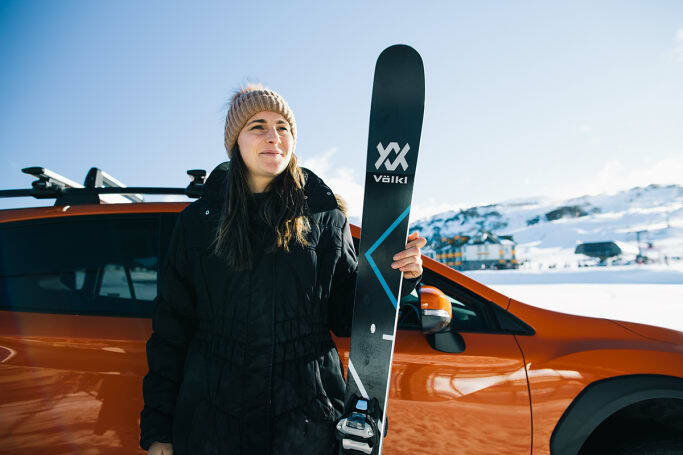 Molly and I grab the keys to a bright orange XV under the pretext of taking some photos – though to be fair, the photo opps up here are pretty damn special – and we hunt down some snow to try out the system. It’s fallen to -6 degrees C overnight and the XV’s windscreen is completely iced over – but Molly, with a couple of years of experience living in Europe, chasing her rally dreams, under her belt, whips out the credit card to scrape the ice off. Being the snow idiot I am, I would have chucked water on it, but this is a very bad idea – or an excellent idea if your aim is to completely crack a windscreen. What amazes this coast-lubber most is the way the XV starts on the first push of the stop/start button, despite being out in sub-zero conditions all night. Think about it for a sec… how would you go if you’d been left in a snow field overnight? I like driving with rally drivers, because there’s not a class of racer that knows how to deal with minimum traction better than they do, and Molly – who drives a works WRX STi in the Australian Rally Championship – is calm, unfussed and steady at the helm. We talk about all sorts of stuff, like rallying pace notes, mountain bikes (she’s a Specialized Bicycles ambassador), sleeping in a barn while she tried to break into the World Rally Championship and spending her house deposit on a BMW M3. “But it was such a good one!” she argues. Hey, no argument here! We finally find a stretch of snow that we can give the X-Mode a try. It’s an access trail that stretches out as far as the eye can see, but we’re limited somewhat by a large sign that forbids access… past a certain point, at least. And then there’s that sneakily deceptive snow. As a quiet aside, I actually haven’t told Molly that I’ve already driven an XV on snow, and the X-Mode is actually pretty damn impressive. But hey… she’s a pro rallyist. She’ll be fine. And besides, I have phone reception to call in the cavalry if it all goes south. Molly punches the X-Mode button, looks over at me and smiles, then leans on the gas. And the XV… sits there and sinks a little deeper. “Ahhh,” we exhale at the same time, as we both imagine different ways to explain ourselves to Subaru’s lovely PR person Chloe, who’s probably already impatiently tapping her ski boot-clad foot waiting for us to come back to the resort with her car. But before you can say “is this lift ticket refundable, by any chance?”, the XV's tyres find traction on the left side of the trail, and it begins to inch agonisingly forward towards the blessedly dark gravel road. Molly keeps a steady throttle going, and the XV grinds and clanks its way out of the snow drift and back onto terra firma. It’s pretty damn impressive, actually – we were all but ready to call for back-up, but the little XV did the hard work for us. And this is a compact SUV! If we were aboard something with front-drive, we would have been absolutely snookered. 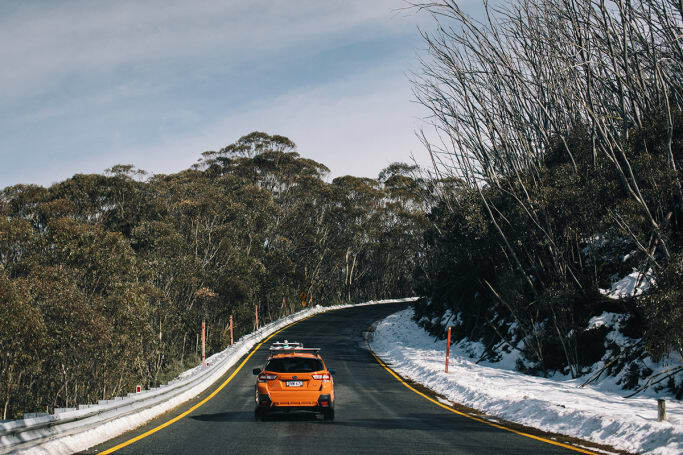 We decide that discretion is the better part of valour, and we make tracks back for the relative safety of Perisher’s main car park, noticing for the first time the free Subaru-badged windscreen scrapers at the entrance. “That credit card may as well do something useful,” grins Molly. She heads off for a day of schussing the pristine slopes, and I’m left to ponder the talents of a clever little rig with genuinely deep talents that make it as at home in the hills as it is in the suburbs. Looks are one thing, but backing it up with talent is a rare feat these days, but the XV has surprised us all. “Wonder if we could make a rally car out of it?” muses Molly jokingly. Doesn’t sound like a silly idea to me. What's your preferred AWD for the snowfields? Tell us what you think in the comments below.